Milorad Kijac has been rated as one of the best club coaches in the history of Yugoslav (now Serbia and Montenegro) Volleyball and it’s not hard to understand why. His roll of honor in his homeland of Serbia and Montenegro is vast and at 48-years-of-age Kijac has built up a volleyball coaching pedigree to be envied. 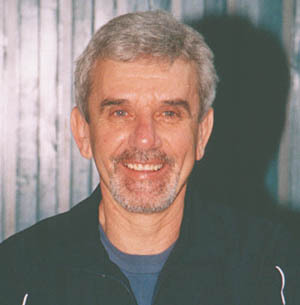 After an extensive playing career as a setter for Yugoslavian clubs Sloboda and Gik Banat from 1965 – 1984 Kijac moved straight into coaching and had immediate success. From 1985 – 1988 Kijac coached the junior team at Gik Banat, which contained players non other than Vladimir and Nikola Grbic before moving into a coaching position at Vojvodina, one of Yugoslavia’s most successful teams. Eight straight Yugoslavian national titles from 1991-1999 are a fair reflection of the coaching skills of this man. The first two titles were as an assistant coach and the remaining six Kijac was in sole charge. Other silverware with Vojvodina included the Cup Winners title of Yugoslavia in 92, 94, 95, 96 and 98 and the Super Cup winners of Yugoslavia in 1993. Current Serbia and Montenegro players Petrovic, Lagumdzija, Kovac, Vladimir and Nikola Grbic, Mester, Batez, Duric, Geric, Boskan, Vusorovic and Petkovic all played under Kijac in his time at Vojvodina. One of Kijac’s highest accolades came in 1995 when he was pronounced the best Yugoslav coach in every sport-discipline. It was no surprise when firstly, a move to Bulgarian club Levski Sikonko at the turn of the century continued to reap dividends with the Bulgarian national title in 2001 and 2002 and then secondly, when he was called up to take charge of the Bulgarian national team in 2003. Since then, Kijac steered his team skillfully into fifth place at the 2003 World League before slipping slightly at the European Championships where Bulgaria couldn’t muster a serious challenge and ended the tournament in ninth position. He has already had a taste of success at international level having coached a Yugoslavian “A” selection to third place at the 1996 World Cup in Japan but now in charge of Bulgaria, Kijac has the responsibility to return one of Europe’s former volleyball superpowers back to its glory days of the 70’s and 80’s and with his coaching history, he’s got just the right credentials to do it.